NoMoreRack was an online retailer that was established in 2010. They delivered a wide selection of product types to consumers ranging from electronics to apparel. Their success prompted them to switch things up in 2015 when they decided to become Choxi. Choxi's mission is all about finding all the products consumers want and then delivering it to them at a great price. Savings that come from dealing directly with manufacturers are passed down to the customers. Most people who hear the new name wonder why it was changed to that. The idea behind it is that their catalog is chock-full of in-demand items. Choxi is a play on being chock-full and is simply just a fun word to say. That aligns with one of the company's other ideals: having fun. The company is also quite charitable as evidenced by its Charity Deal program. With this program, certain products are marked with the Charity Deal status. Whenever people buy these items, some of the profits go towards non-profit organizations. A different organization is chosen on a monthly basis and includes those such as Runway to Hope, Family Giving Tree, and First Book. The company's official website is now located at choxi.com. Upon arriving, visitors will quickly find a wide variety of items up for sale. Fortunately, the website interface provides visitors with the ability to sort products based on different characteristics. If you sign up for an account, then you won't have to worry about paying any shipping costs on your first order. More and more people are choosing to shop on their mobile phones and devices nowadays. If you'd rather use one of these devices instead of your computer, then you should consider downloading the Choxi app. A benefit of using the app is that you'll be provided with special deals. It's available for both iPhone and Android devices. Every so often, Choxi has special events in which certain items will be marked down dramatically. Whenever one of these events is set to occur, you'd definitely want to know about it. You can find information on all of these events on the website. Some in the past have included designer sunglasses sales, items in the category As Seen on TV, and Apple products. The company has operated an affiliate program ever since 2010 when it was known as NoMoreRack. If you have a website, then it's a good way to earn a bit of money as you'll get 10% of every sale. You will have to sign up for their program through Commission Junction. Choxi is active on social media networks, especially Facebook. If you follow them on the site, then you'll be entered to win prizes. Also, you'll get a first look at special deals before everyone else. You can also find them on Twitter. There are all sorts of product categories on Choxi. Women have the option to buy various items such as clothing, beauty items, shoes, and handbags. 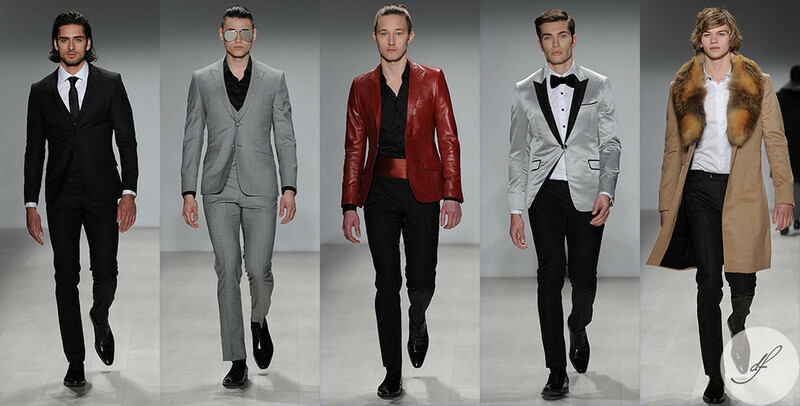 The men's section includes things such as apparel, shoes, and watches. If you're in the market for electronics, then you'll also find them on the website. These include merchandise such as radar detectors, cameras, dash cams, and mobile phones. Other categories include jewelry, pets, health, and home. 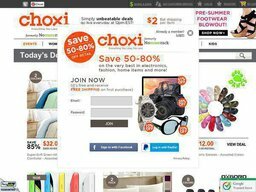 You can find great prices on all of your purchases from Choxi with the help of Coupofy Coupons. Just browse the list of special offers that you can use while shopping. Clicking a link will take you right to the website where you'll save money. All major credit cards are accepted for payment. If you have a debit card, it can also be used for purchase if it has one of the aforementioned logos. Returns need to be processed within 30 days of receipt of the item. If you're requesting a refund, then the total amount will be reduced based on the return shipping costs. You can reach their team by emailing [email protected]. They also have a live chat feature on the website that's available between 9am and 6pm EST any day of the week. Their phone number is (212) 405-4011. @DrmahmoodHassan We will be sending you an email to resolve this issue. Thank you for your patience regarding this matter. @DrmahmoodHassan We will get this rectified. Please check your email address linked to the order within the day. @DrmahmoodHassan Thank you for providing your order number. @DrmahmoodHassan If you need further assistance, please reach out through DM so we can assist you better. Thank you! @DrmahmoodHassan An email will been sent to your email address linked to these orders to update you with the current status.